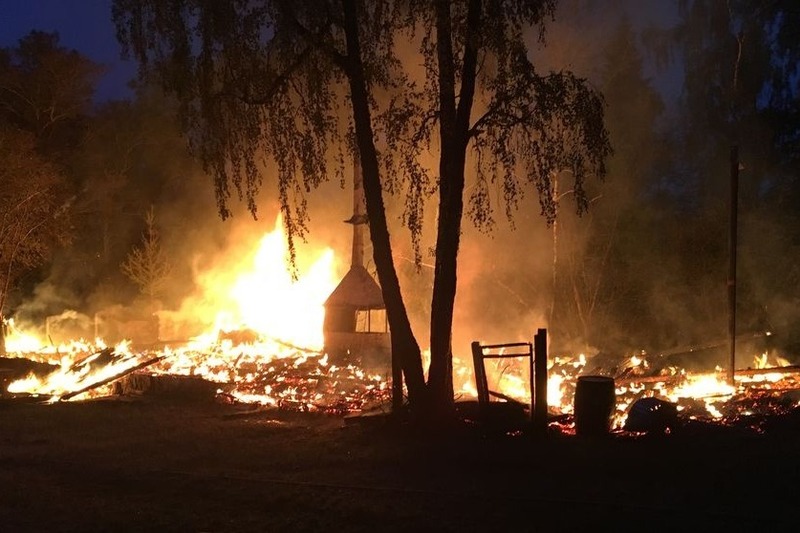 In 2016 we at Storholmen Viking Village lost our great hall in a tragic fire. Now, two years later, we are finally ready to rebuild, but we need your help! 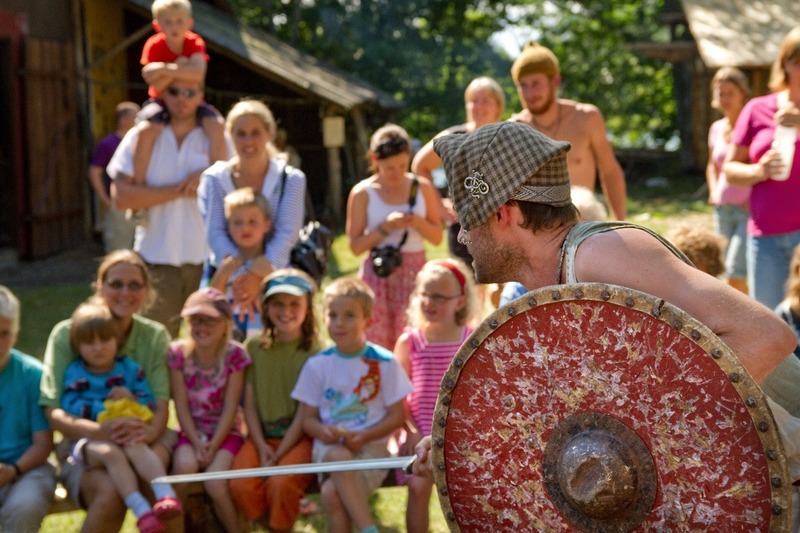 Storholmen is a non -profit archaeological open air museum that performs a wide range of activities for children and adults since 1996. In 2016, just a week after a multi-cultural national day celebration and a few weeks before our summer season was starting, our great hall was burned down. In it, we housed the kitchen and café, we displayed the exhibition and we housed the stage. With it disappeared both most of our artifacts, practicalities and many years of memories. Things can be replaced, but without a great hall we lost much of our capacity to welcome school classes, visitors and entertain groups. Many years of work was lost in minutes. Through an incredible amount of effort from the members of our association and the foundation running the village we were able to keep the village open as planned but had to substitute the great hall with a big, modern plastic tent. A larger hall is vital for revenues, to be able to take care of larger groups, and to keep running the Archaeological Open-Air Museum. The construction of a new, authentic Viking hall will begin in the autumn of 2018. The hall will be 24 metres long. 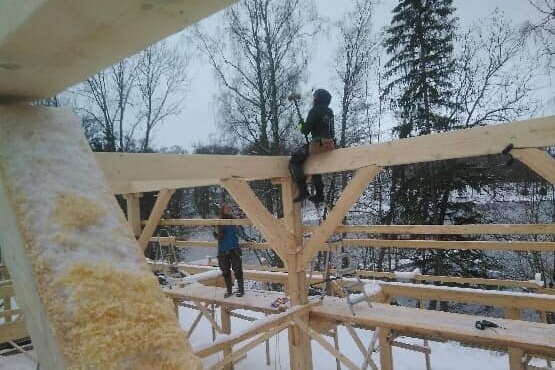 When it is completed, it will likely be the largest Viking hall in Sweden. 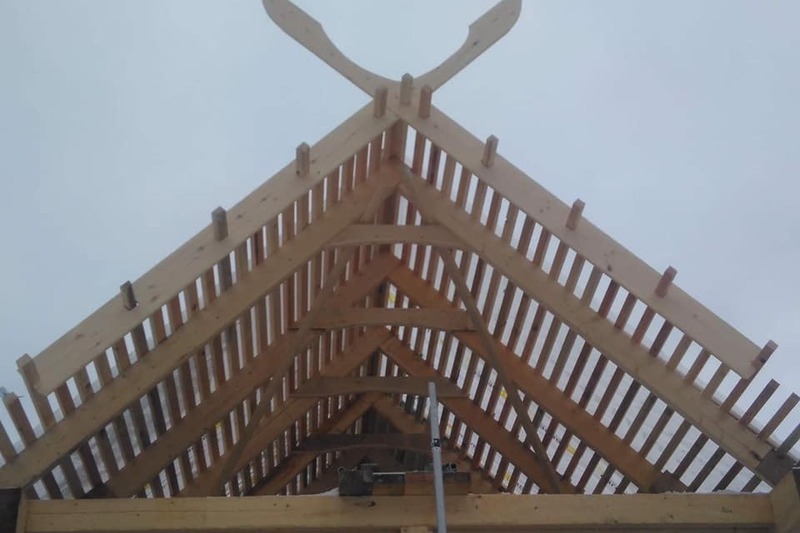 In step one, an authentic roof and fireplace will be completed to use during the warmer season. Step one, Fall 2018. The first step is to build the foundation and the roof. We will then be able to house around 80 sitting people and up to 200 when taking away tables for performances and activities on rainy days. 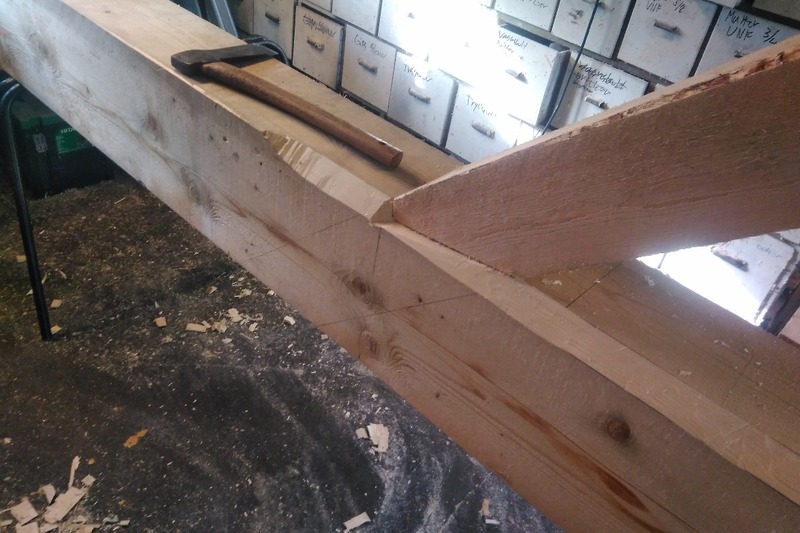 Timber will be prepared for making walls and the fireplace is built. Ground preparations start in August/September. Step two, Fall 2019. At the second stage the house will be clad in walls. The cost for this will be far less than the initial build process, and will mostly be done with the help of volunteers and members. Step three, Fall 2020. Rooms are built in the house with inner walls. Upper floors are being built. Once again with the help of volunteers and members! We almost have the means for step one of the building, to construct the roof. These funds come from the insurance, contributions made by kind individuals, and from a generous contribution from the foundation Roslagens Sparbanks Stiftelser. There is still about 10% of the funding missing for building the roof, which we now hope to be able to get help with through so-called crowd funding, or grass-roots financing. Depending on the number of people who support the building, the funds that are received can also be used for the step two of the construction. Would you help us by buying a wood roof shake? The hall is going to get a so-called wooden shake roof. It is of the same type found in the ancient Norwegian stave churches. The shakes we use are made of slow-grown pine with high density between the growth-rings, and they have been dipped in boiling tar. 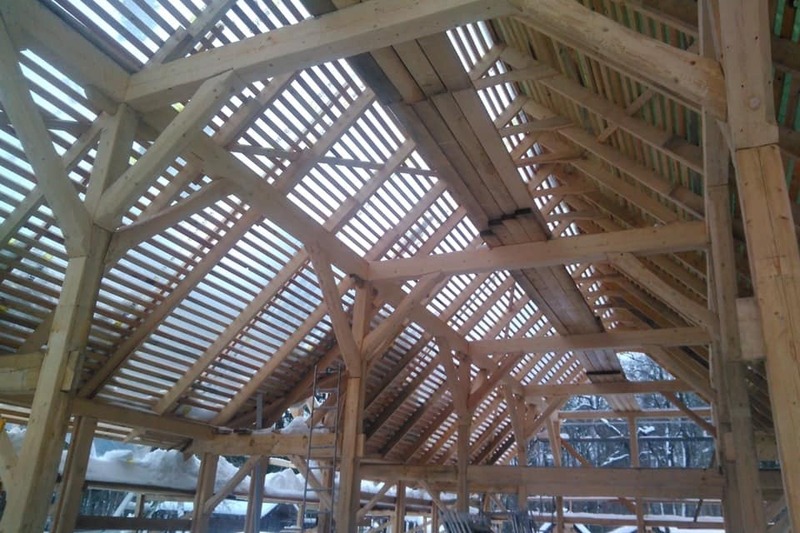 It will be a very durable and authentic roof, but it is also costly. 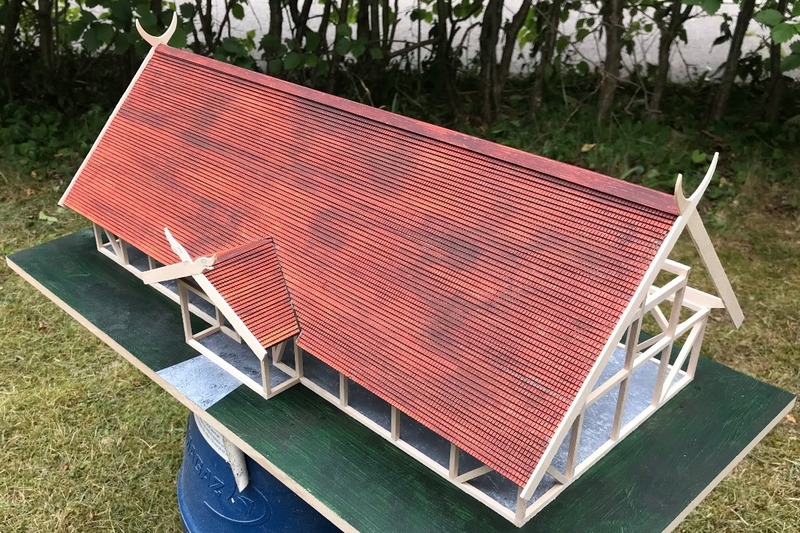 Any amount will help us a long way towards realizing this new great hall and for 50€ you can get your own wood shake placed on the roof! When you buy a wooden shake for the roof, your name will be put on a plaque on one of the shakes at the eave, as a visible proof. 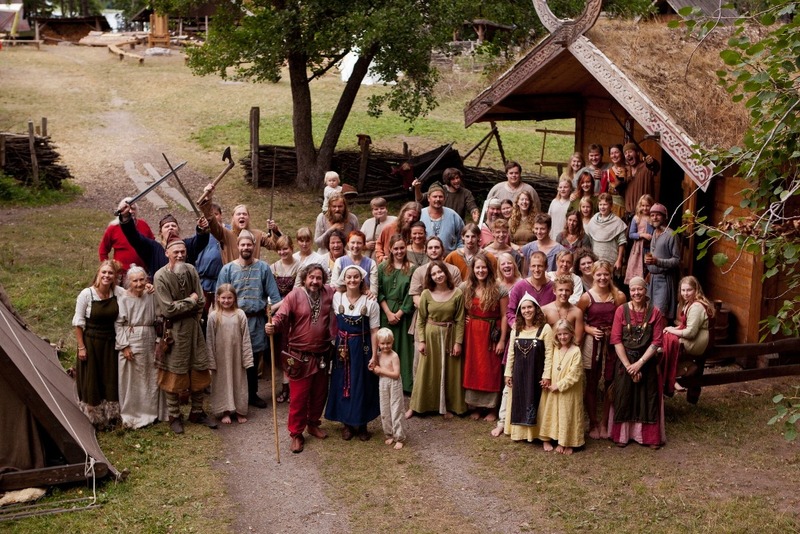 In this way, we will hopefully be many people that own a small part of the Viking hall in the end! Please write your name and where you come from together with your donation so we can make sure you get a proper plaque on your shake! Many warm and sincere thanks for all the support we have received so far after the fire! Thank you very much to you, private individuals who contributed to the house both economically and in other ways. Thank you Roslagens Sparbank Foundation, without your support we could not have started building! We hope you want to join us in this project! Storholmen has been a place of history, learning and cultural exchange for 22 years, and in this time, our main goal has been to shine a light on the relations and exchanges through out the Viking age world. 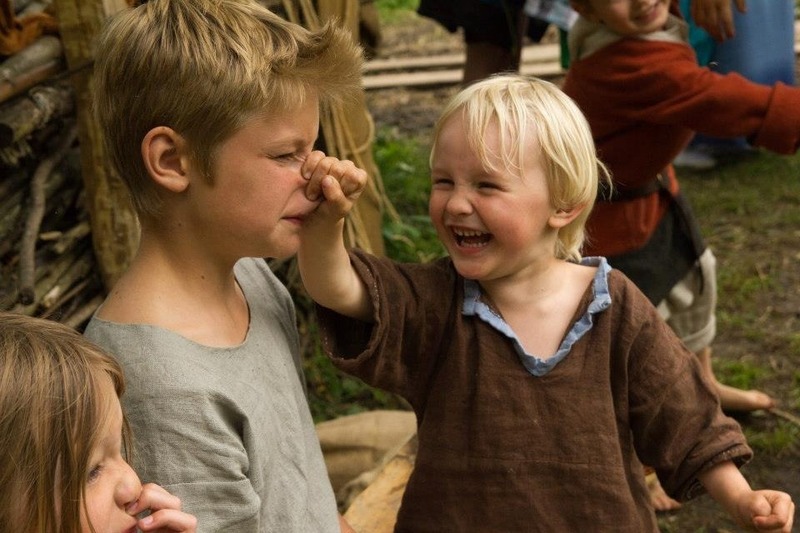 Why do we only hear about all the placess the vikings went, but never about all those who came here from near and far? How come viking myths are so similair to Greek, Egypt and even Christian stories, years before the church was ever established in the north? What was the importance of the Vikings relations to the Sapmi people who live right here in Scandinavia? How come we found so much Arab silver from the viking age? Where did we get our silver, silk and glass from, and why were these things considered so valuable? Of course the Viking age was a time of travel, not just in raids and in war, but mainly in trade and diplomacy. 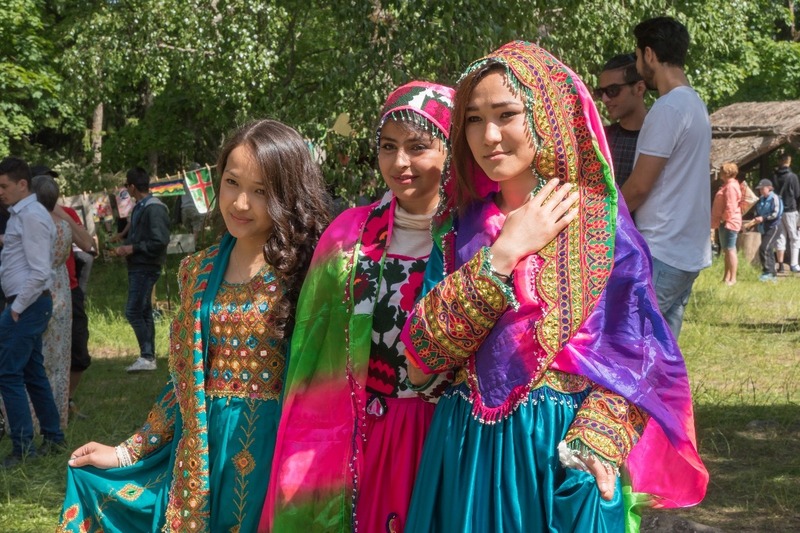 With our multi-cultural national day celebration “Folkfesten Kulturmötet” we wanted to highlight the cultural exchange and the history we share with people all through out the world, in a time where history is being used as a tool of exclusion and segregation we want to put the spotlight on all the things we've always shared now and through out history! 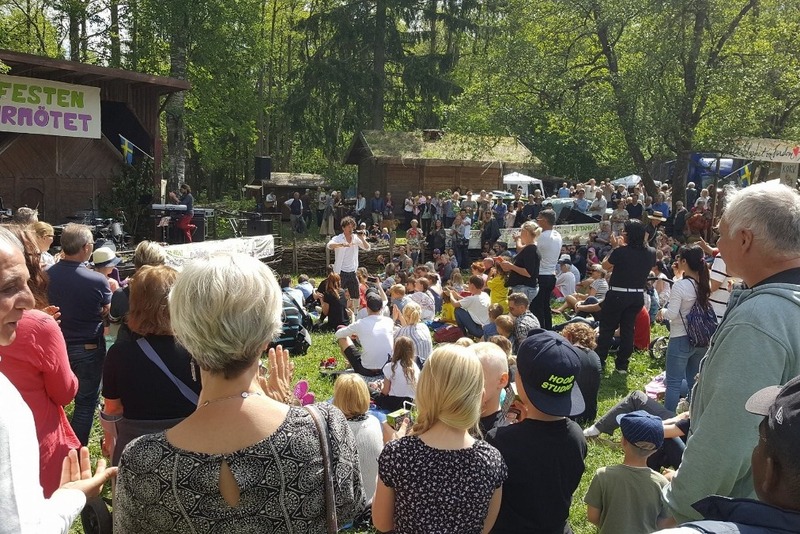 Afghan folk dance mixed with traditional Swedish orchestras, Balkan tunes next to the Swedish national anthem, African drums and traditional Scandinavian violins! For over 15 years we’ve had international volunteers coming to live and work with us in the village for a few weeks every summer and when you visit us, you are met by Vikings speaking Swedish and English, but possibly Spanish, French, Russian or maybe even Taiwanese as well. 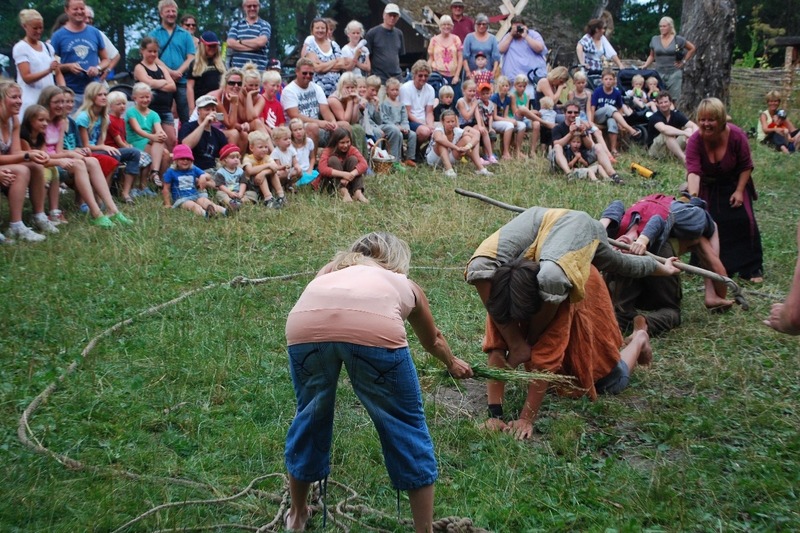 The whole concept of our summer opening is dependant on 30 to 60 people deciding to spend several weeks of their vacation time working in the Viking village, showing of handicrafts, music, story telling, rune writing, and much more to all the visitors who come to see what life was like 1000 years ago! 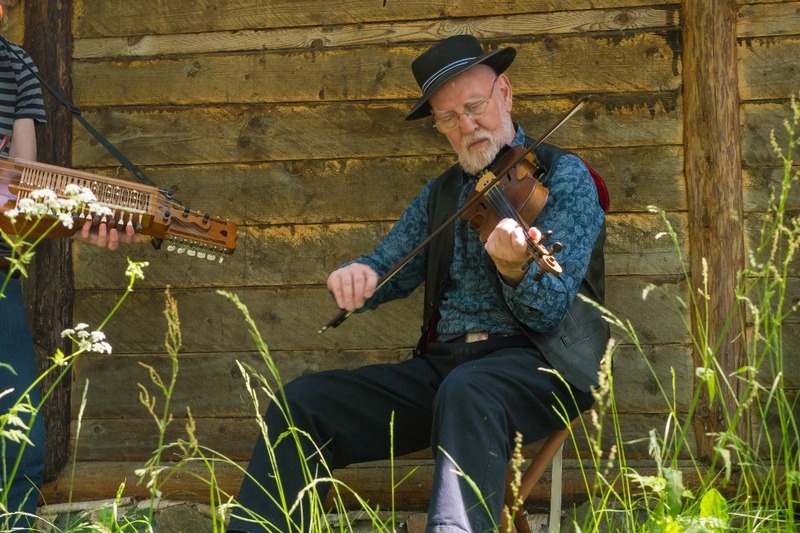 The people are what truly makes the village come alive, and it is through the overwhelming support and effort of all of our volounteering members working for free that we’ve had the strength and resources to keep the village open and active! We’ve got the spirit, the people and the know-how, now all we’re missing is the funds. 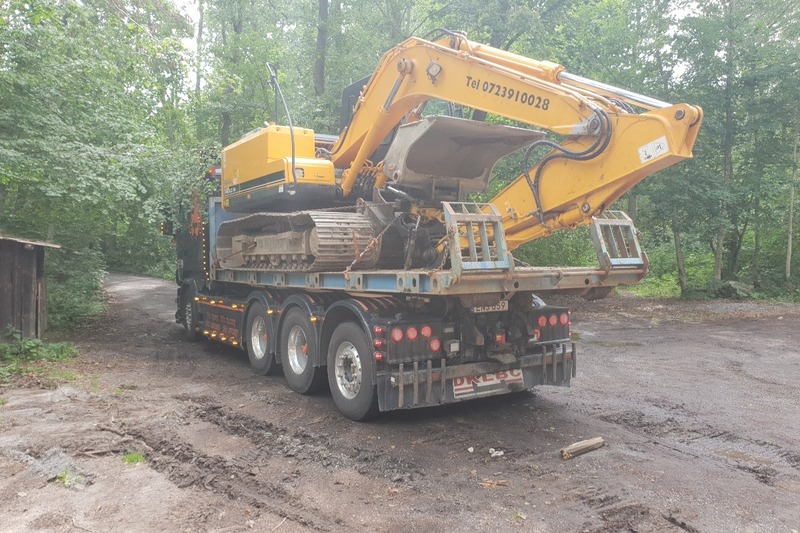 With the money we got from the insurance of the old building and donations from local people and organizations, we’ve already ordered all the material needed and as soon as we close for the season in August we’ll begin the construction of the new hall! 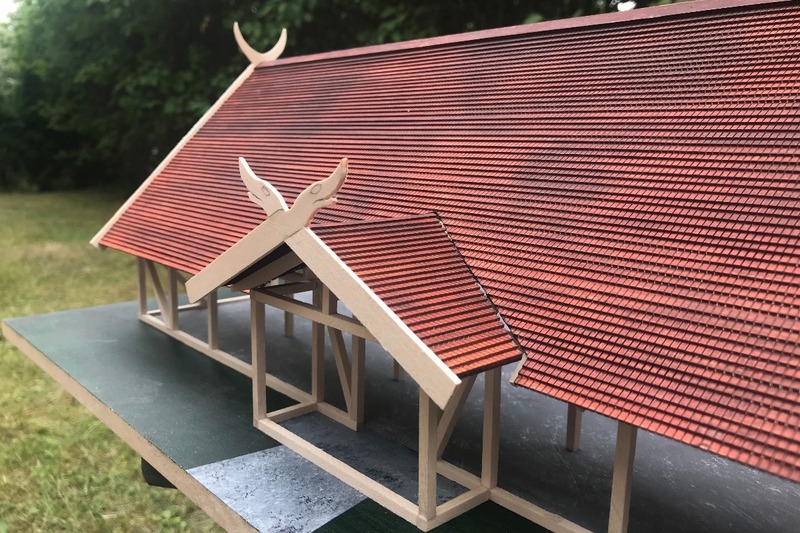 What we’re still missing is the final amount to be able to actually build the hall to completion, but with your help we hope to be able to get there! 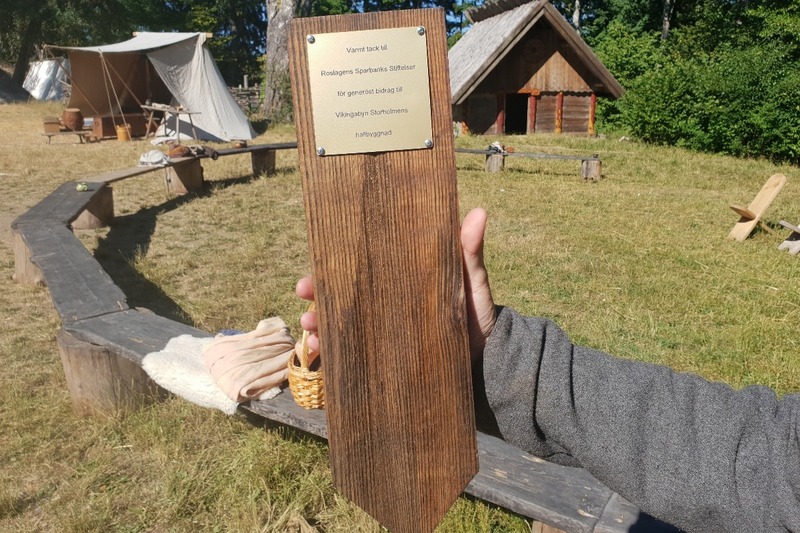 Thank you once again from all of us here at Storholmen Viking village! The hall has been progressing with full steam! The skeleton of the house is nearly all done, and on monday we start laying down the first shingles of the roof! It is an amazing feeling, seeing the proper shape of our new centerpiece in the village take form, and we would like to thank everyone who has supported us this far! With your help we're able to realize the first steps toward a complete new hall! Thank you everyone who has supported us along the way! 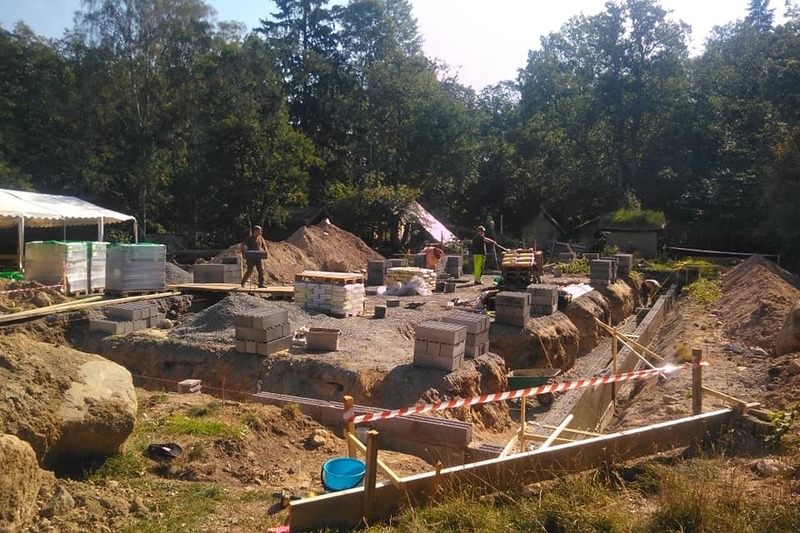 We've finished the foundation of the hall and are in this moment in process of making and preparing the pillars and framework for the house. The job in the workshop and village respectivly are coming along very well, though as we look at the numbers right now, we do not as of yet have the resources necessery to complete Step One, the raising of the constrution and laying of the roof, so please, keep sharing and spreading this campaign to your friends! The support we've gotten so far is absolutly overwhelming, and the positive response we've seen towards this project truly warm our hearts! We can not thank you enough!